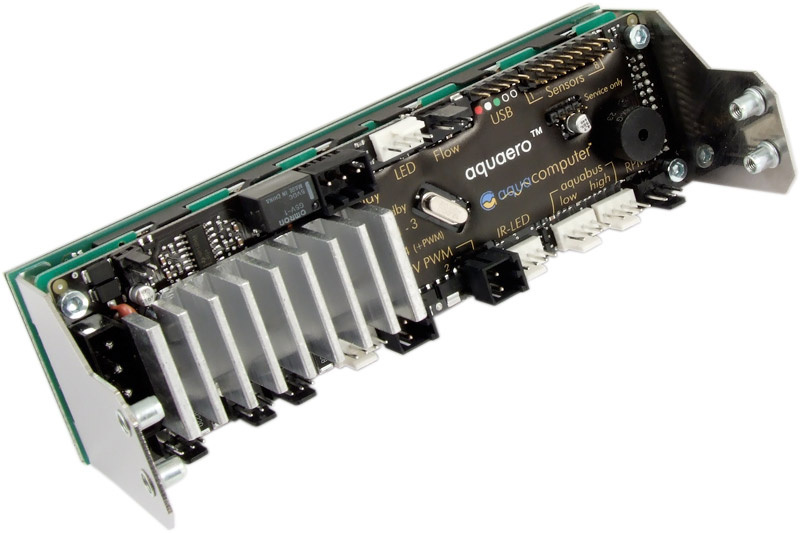 Several Aqua Computer products can be used to expand the functionality of the aquaero 5 Controller. These expansions are dynamically mapped into the device, creating a consistent control system rather than individual devices. In case of overlapping assignments, predefined priorities determine which device will be used by the aquaero. Details can be found in the manual, which is also available as a download. This product was added to our catalogue on Friday, 28. January 2011.